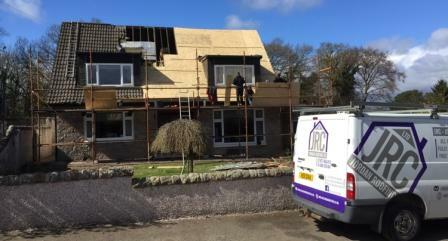 We can offer our customers great Finance deals on complete new roofs and by a new roof we mean we strip your old roof back to the bare rafters, sheet with new OSB boards, lay new felt, fix new graded battens for the new tiles to be fixed onto, fit dry verge and vented dry ridge system all mechanically fixed.. We can also add in new UPVC fascia, soffits and drainage systems. 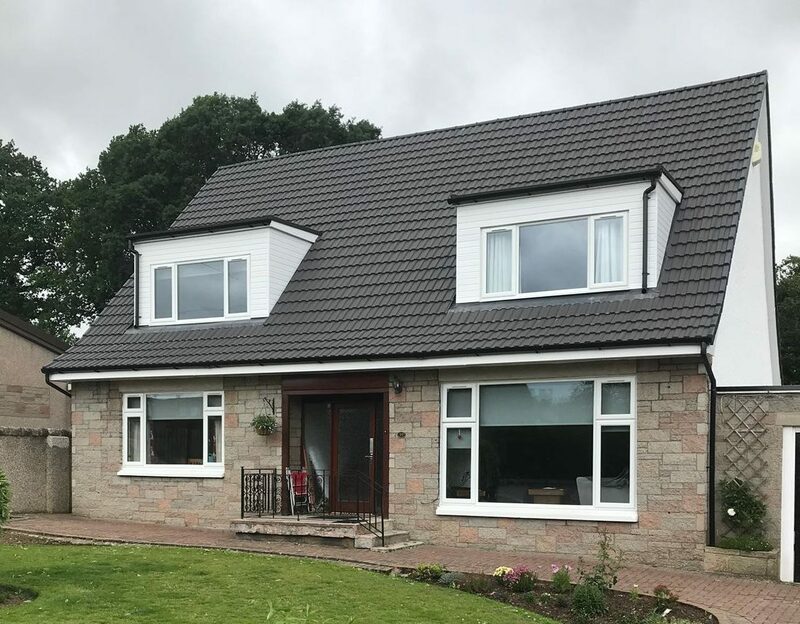 New roofs and UPVC not only make your house look great and can last for a very long time, but they also add value to your house and if you decide to sell your home then a new roof and new UPVC is a great selling point. 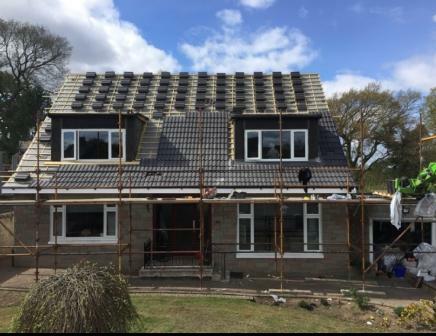 Once you are happy with the quote and the work to be carried out then we sign a contract providing finance can be arranged and book a start date weather dependent. Once the contract is signed you can apply for finance to value of the contract and this can be done online by clicking the link above and Forward Asset Finance of Glasgow will arrange a loan which will be paid directly to you to cover the cost of the contract. Once you apply for the loan to Forward Asset Finance they deal with the finance process from that point and everything can be done over the phone and online and once accepted the money will be in your bank within 1 working day. We will then need a 20% deposit once you have the finance in place to get you booked in and then the balance will be paid in 3 further installments. We will come and fill in a risk assessment and a method statement, before erecting the scaffold. We will then strip your old roof and back to the bare rafters Fit the new OSB Sheets and felt to make watertight. At this point we will take the first instalment. We will fix new graded counter and tile battens to the roof and fit the new tiles along with the vented dry ridge system and mechanically fixed dry verges. 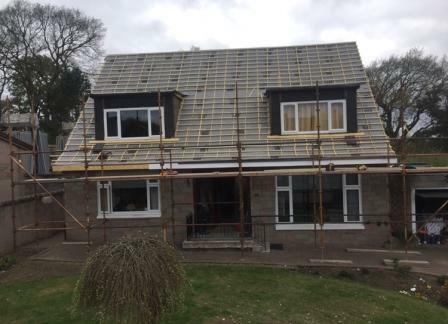 New UPVC fascia and soffits and drainage systems will also be fixed at this stage if this has been chosen as an optional extra. Photographs of the roof will be taken and we will then ask you to fill out a customer key performance indicator sheet so we can monitor the performance of our workers for our quality management system. Once we know you are satisfied with the works then we get you to sign off a customer completion certificate and then we ask for the final installment. We then bring you a signed copy of the 10 year independently insurance backed guarantee from QANW insurance and ask you to post a review on our website if you are happy to do so. We then present you with a complimentary bottle of Dom Perignon champagne so you can celebrate you new roof. 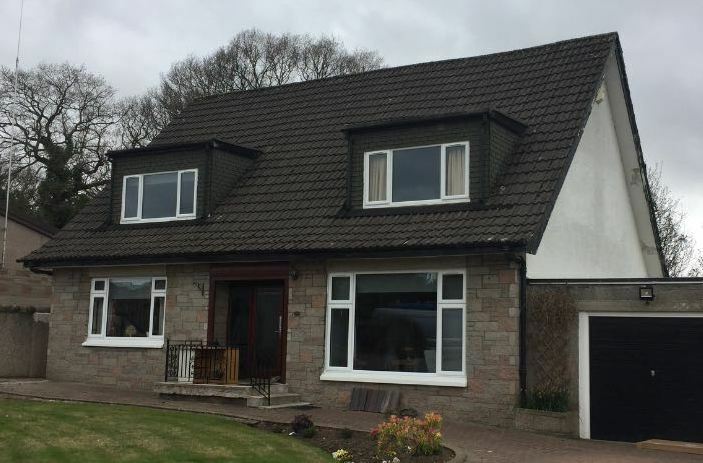 We are approved by the Financial Conduct Authority as an appointed representitive of Forward Asset Finance who can arrange a low interest personal loan for our customers to pay for their new roof. Click here to see our profile on FCA website….. The link below will take you to an online form you can fill in which will enable you to apply for Finance via our broker Forward Asset Finance who are based in Hillington, Glasgow and they are along with ourselves are approved by the Financial Conduct Authority. Click here to apply……….